Sleep can and will be yours! over time – with your help. It is hard to know what is normal sleep for a newborn and what is simply asking too much. If you compare your sleep situation to other new parents you might start to wonder if you gave birth to a bad sleeper. You might even start to resent that one mother in your mommy and me class who brags about her brilliantly gifted sleeper who is only waking for one feeding in the night. She reports that her baby naps so often during the day that she is often left twiddling her well rested thumbs just waiting for him to wake up. The above scenario might last. However, quite often it does not and parents should be prepared for anything. Parents need to be empowered from the beginning to realize one truth about sleep. Rest assured, sleep will start to take on a pattern and a predictable routine in a few months. 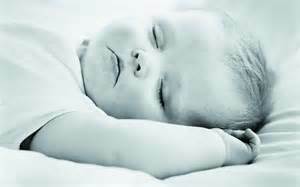 A high quality and high quantity of sleep is one of the best gifts you can give your baby’s growing brain. Like the nourishment you give your baby in both food and love, sleep is vital for the health and well-being of your child. It is true that sleep comes easier for some infants than it does for others. However, by setting up the best environment both physically and emotionally you can support your child in a great foundation for healthy sleep habits. In the beginning the best thing you can do for yourself, your baby and your entire family is to keep it simple, take it easy, and focus on the following. This is an exciting time. It can also be exhausting. Your newborn is just starting to establish sleep patterns, learn the difference between night and day and will sleep often and wake often. Give yourself some cave time. Hunker down, be present and rest. To expect a newborn to fit into a schedule is expecting too much in these early months of development. Let your baby sleep whenever they want. Unless you have been advised by your pediatrician or lactation consultant, don’t worry about waking her to eat. A newborn baby will sleep often during the day and can barely be awake for an hour before she is ready for another nap. Take these short wakeful windows of time to observe and follow her cues. She will show you what she needs. It takes time and quiet observation to learn what she is showing you. Creating a safe and peaceful environment that invites sleep is very important. Whether your baby will be sleeping in your bed or in a bassinet near your bed, make sure that the mattress is firm and there is no excessive bedding or pillows around your infant. It is best that the sleep area suggests sleep and not play. Think about the environment from your baby’s perspective and what the environment sounds like, looks like and feels like. Consider more neutral prints and colors when preparing the sleep environment. To help your infant establish early sleep patterns, keep it dark after the sun sets and get your baby’s brain in daylight after wake up in the morning. It can take a few weeks for him to learn the difference between night and day. As the day goes on and the sun sets you want sounds to become more soothing as well. Therefore, if you are interacting with your baby or playing music, be mindful of soothing choices and less stimulating activities. The parent’s or caregiver’s emotional embodied state could be the most important factor of creating a successful sleep environment. This brings you back to the first “do” on this list. Do relax, breathe and then relax some more. The single most important thing you can focus on during these first weeks and months is the secure attachment. The loving bond and consistent response you offer your baby will set up an emotional environment of trust, confidence and security. The feeding relationship is a no fail situation for creating this bond. It is best if you can be calm, relaxed and 100 percent present during this activity. Whether you are breast feeding or bottle feeding, the closeness of skin to skin, face to face, and sound of your voice to your baby’s ear starts this incredible relationship that will grow and deepen with each passing day. Development is ongoing but it is not linear. It is natural for there to be two steps forward and one step back in all development. Since learning to sleep is a developmental skill, expect regressions as a normal part of this development. Some babies are better at sleeping in noisy environments than others. Take these first months to observe your baby and learn what her preferences are in this regard. Sooner than later your baby will not sleep her best in a loud restaurant or in a shopping cart at the store. The newborn brain is very susceptible to over-stimulation. What some parents might think is sleep in these situations, is in fact the infant shutting off and shutting out the stimulus. If your baby looks tense, has clenched fists and has a furrowed brow, this might be the latter and not a good quality of sleep. These early months are best if stimulation is kept to a minimum. However, each child is different in this regard. If your baby is crying and having a hard time settling into sleep, consider the number of visitors or outings you have had before the sleep period your infant is struggling with. Many families want their baby to fit right into their lives on week one. In time your child will be able to handle more outings and more stimulation. But they need to grow a bit of brain mass in order to do this. Of course everyone wants to hold a new baby. But does your new baby want to be held by everyone else? Again, watch your baby’s cues and he will tell you what he prefers. Hopefully the grownups in his life will be grown ups about this – be respectful of your baby and not take it personally. Do not compare your situation to anyone else’s. And more importantly, do not compare your baby to anyone else’s baby. Your child is a unique and whole individual right here and right now. You are his advocate and you are in charge of all decisions on his behalf. This is your experience. Your energy is best spent on what you want that to look like and feel like for yourself, for your baby, and for your entire family. Like any other close relationship with any other individual, it takes time to get to know that person. It is the same with our babies. Part of the unfolding of this experience is finding out who they are and finding out what they can handle. This is a long journey of holding a safe, nurturing and loving space so that your child can become the person he is going to be. These first few months are about closeness and connection. Separateness will come soon enough and will develop out of the security your baby feels from these first few months of his experiences. Take your time and decide what is best for your family and your baby. Take time to get to know your baby. You are developing a relationship of trust with your child and with yourself as a parent. This takes time and is a worthy pursuit. Find a few moments each day to sit and be in gratitude and express that to your partner. Most of all, each and everyday, find time to be gentle and kind to yourself and your partner. Your child is developing a relationship with you and your partner. Although it is best if you are on the same page, or at least in the same chapter, you will each have a different relationship with your child. That is a good thing. Moms, let go and let dad/partner handle things sometimes. He/she is your biggest ally in the sleep department. Remember, you might want to have another one of these little people. We give birth to individuals. 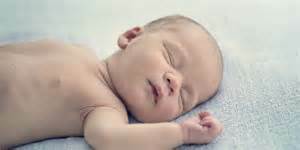 Some babies do sleep well and often right from birth. If that is your baby, right on! Be grateful. If that is not your baby, take heart. For now, respond to his cries, be close, and know that sleep can and will happen. Remember this, we can change anything we are doing with our children at any time. We just need to have the awareness that something needs to change, the acceptance that as the parent we will initiate that change, and then take clear, consistent actions toward that change. We do need to know what we are doing and have a clear cut plan. If we do not know what we are doing then there is no way for our children can know what to do. When you are holding, feeding and caring for your infant slow down, be fully present and talk to your infant about what you are doing before you do it. Don’t multi task. When you are nursing just nurse. The emails, facebook, dishes, laundry, all of it can wait. If you are bottle feeding do so in a close relationship with your baby. When involved in any caregiving activity (feeding, changing diapers, soothing, transitioning to sleep) slow down. 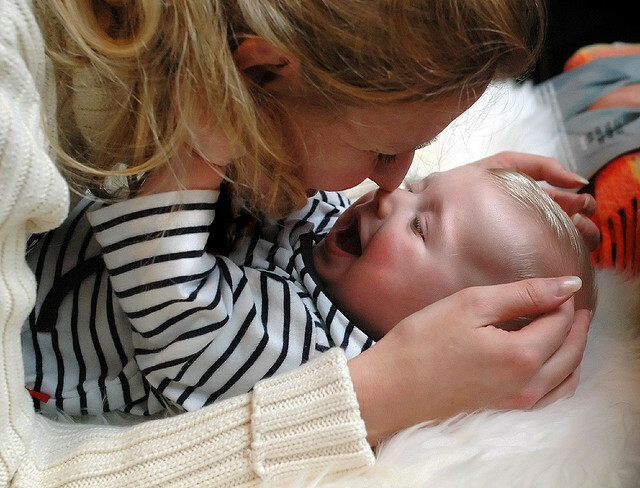 Holding your infant so that he/she can see your face, speaking in a soft and soothing tone, and being completely present will create the ideal environment for this crucial and lasting bond. From this place you will later allow your baby to do all the falling and struggle that he will do in learning new skills such as crawling standing, walking and riding a bike. Falling asleep is one of those skills that your baby has to learn. It is a physical sensation that we all learn in order to fall asleep. 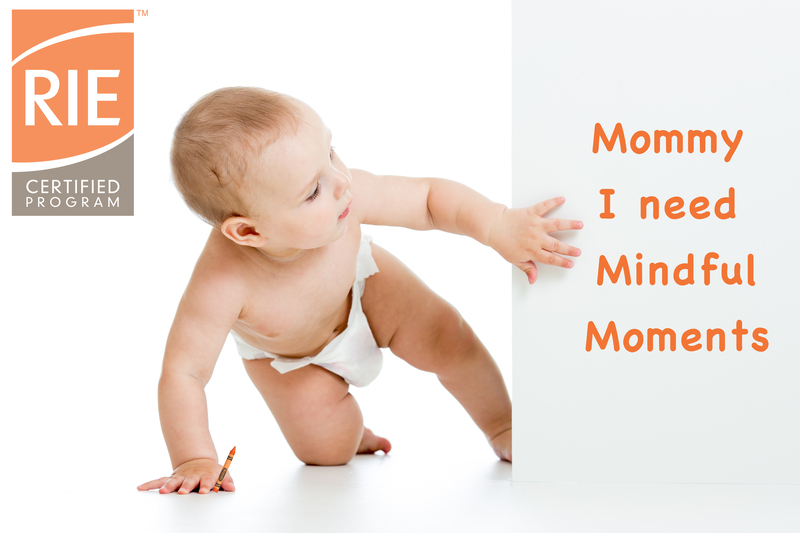 Your baby will learn this with your help. You can allow this learning and remain connected, caring and trustworthy in your responsiveness.